All notices from This & That 4 You that are sent to you may be posted on our website & will be deemed delivered within thirty(30) days after posting. Notices from you sent to This & That 4 You shall be made either by e-mail, sent to the address we will provide via email, or first class mail to the same address sent to you on request. Delivery shall be deemed to have been made by you to This and That 4 You five (5) days after the date sent. Copyright © 2014-2016 This & That 4 You. All rights reserved. As a user, you are authorized only to view, copy, print, & distribute documents on this Web site so long as (1) the document is used for informational purposes only, & (2) any copy of the document (or portion thereof) includes the following copyright notice: Copyright © 2014-2016 This & That 4 You. All rights reserved. All brand, product, service, & process names appearing on this website are trademarks of their respective holders. Reference to or use of a product, service, or process does not imply recommendation, approval, affiliation, or sponsorship of that product, service, or process by This & That 4 You. Nothing contained herein shall be construed as conferring by implication, estoppel, or otherwise any license or right under any patent, copyright, trademark, or other intellectual property right of This & That 4 You or any third party, except as expressly granted herein. This site may contain other proprietary notices & copyright information, the terms of which must be observed & followed. Information on this site may contain technical inaccuracies or typographical errors. Information, including product pricing & availability, may be changed or updated without notice. This & That 4 You & its subsidiaries reserve the right to refuse service, terminate accounts, &/or cancel orders in its discretion, including, without limitation, if This & That 4 You believes that customer conduct violates applicable law or is harmful to the interests of This & That 4 You & its subsidiaries. What personal information do we collect? Every computer connected to the Internet is provided with a domain name and an IP Address. When you visit our Web site & request a page from within the website, our web servers automatically identify & log the HTTP request that is made to our web server. This information reveals nothing personal about you. 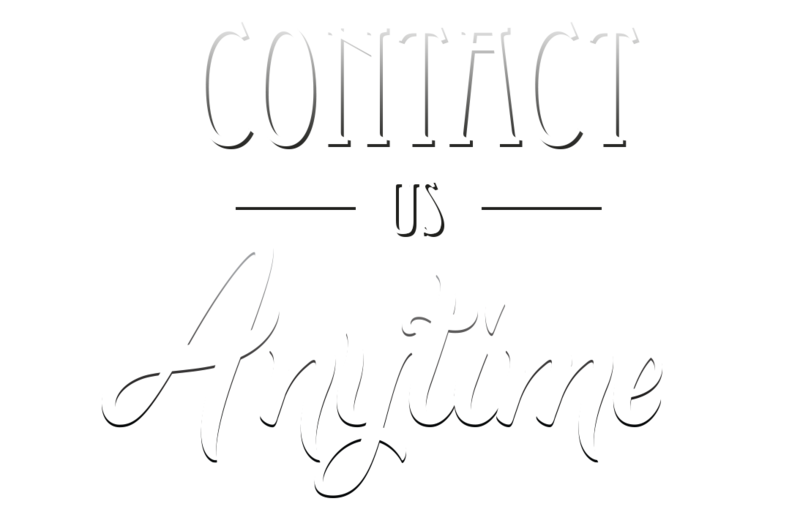 When you request information, have a question or place an order we ask for your name, email, phone number, & any comments. This information is necessary to fulfill your request. If you elect to pay for services via our website using a credit card, in addition to your name, we will obtain the type of card, its number, expiration date, & billing address for processing. Disclosure of Personal Information- Your personal information is important to us & we are not in the business of selling it to others. We sometimes employ other companies & individuals to perform functions on our behalf. Examples include delivering packages, sending postal mail & e-mail, analyzing data, providing marketing assistance, providing search results, & processing credit card payments. These other companies have access to personal information needed to perform their functions but may not use it for other purposes. We will also disclose your personal information when required by law. At this time, This & That 4 You ships merchandise to locations within the United States. Due to uncertain fuel and labor costs we reserve the right to add or change a delivery charge but will inform you of the change before shipping. We ship via truck, USPS, UPS & Fedex please let us know before shipping if any of these services present an delivery issue. We cannot be responsible for delays in delivery due to causes beyond our control including fire, casualty, strikes, acts of war, or manufacturing shortages or delays. Claims for shortages & damages on orders must be reported immediately to the carrier. We are not responsible for damages that occur after delivery. If you see freight damage (box damaged in anyway) note it when signing for your delivery. If you have issues take a picture & email it to us immediately. Customs & import duties may be applied to International orders when the shipment reaches its destination. Such charges are the responsibility of the recipient of your order & vary from country to country. Contact your local customs office for details. Shipping laws are different in each country. It is your responsibility to check with your Customs office to verify whether the country to which you are shipping permits the shipment of your products. This & That 4 You is not responsible for any direct, indirect, punitive, or consequential damages that arise from improper international shipping practices. This & That 4 You charges sales tax for merchandise ordered on this website based on the applicable state sales tax rate & the location to which the order is being shipped. The Content included in this website has been compiled from a variety of sources & is subject to change without notice as are any products, programs, offerings, or technical information described in this website. This & That 4 You makes no representation or warranty whatsoever regarding the completeness, quality, or adequacy of the website or content, or the suitability, functionality, or operation of this website or its content. By using this website, you assume the risk that the content on this website may be inaccurate, incomplete, offensive, or may not meet your needs & requirements. This & That 4 You SPECIFICALLY DISCLAIMS ALL WARRANTIES, EXPRESS OR IMPLIED, INCLUDING WITHOUT LIMITATION THE WARRANTIES OF MERCHANTABILITY, FITNESS FOR A PARTICULAR PURPOSE, & NON-INFRINGEMENT WITH RESPECT TO THESE WEB PAGES & CONTENT. IN NO EVENT WILL This & That 4 You BE LIABLE FOR ANY SPECIAL, INDIRECT, INCIDENTAL, OR CONSEQUENTIAL DAMAGES EVEN IF COMPANY HAS BEEN ADVISED OF THE POSSIBILITY OF SUCH DAMAGES. The information & content on this server is provided “as is” with no warranty of any kind, either express or implied, including but not limited to the implied warranties of merchantability, fitness for a particular purpose, & non-infringement. Any warranty that is provided in connection with any of the products & services described on this website is provided by the advertiser or manufacturer only, & not by This & That 4 You. The references & descriptions of products or services within the website materials are provided “as is” without any warranty of any kind, either express or implied. This & That 4 You is not liable for any damages, including any consequential damages, of any kind that may result to the user from the use of the materials on this website or of any of the products or services described hereon. The descriptions of, & references to, products, services & companies on this website are the sole responsibility of the companies providing the information (advertisers), & not This & That 4 You. The inclusion of material on this server does not imply any endorsement by This 7 That 4 You, which makes no warranty of any kind with respect to the subject matter of the server materials advertised. A possibility exists that the server materials could include inaccuracies or errors. Additionally, a possibility exists that unauthorized additions, deletions, & alterations could be made by third parties to the server materials. Although This & That 4 You tries to ensure the integrity & the accurateness of the server materials, it makes no guarantees about their correctness or accuracy. Before relying on any representation made in any of the server materials, check with the advertiser of the product or service to ensure that the information you are relying upon is correct. Custom orders unless our error are not returnable. With all other merchandise we will try to make the order & your shopping experience pleasurable. Customer may be responsible for return shipping. All returns must have prior approval. If you have issues with a product, take a picture & email it to us. Have a question? Please ask & we will get back to you ASAP. Please provide the best way to contact you via phone or email. If by phone the best time to reach you & your time zone. Although the information on this website is accessible worldwide, not all products or services discussed in this website are available to all persons or in all geographic locations or jurisdictions. This & That 4 You & the advertisers each reserve the right to limit the provision of their products or services to any person, geographic area, or jurisdiction they so desire & to limit the quantities of any products or services that they provide. Any offer for any product or service made in the materials on this website is void where prohibited. In the event of litigation, both parties agree that the Law of the State of business registration of This & That 4 You shall apply & both parties shall consent to the jurisdiction of said State’s courts, or in the event of diversity of citizenship, the United States District Court for the (District). Both parties expressly waive a trial by jury. The Terms & Conditions constitute the entire agreement between you & This & That 4 You with respect to this website. The Terms & Conditions supersede all prior or contemporaneous communications & proposals, whether electronic, oral or written between you & This & That 4 You with respect to this website. No modification of the Terms & Conditions shall be effective unless it is authorized by This & That 4 You. If any provision of the Terms & Conditions is found to be contrary to law, then such provision(s) shall be constructed in a manner to closely reflect, as much as possible, the intentions of the parties, with the other provisions remaining in full force and effect.